Hi coffee lovers and valued clients. We are creating a library of training guides for you to take care of your coffee vending machine. This will ensure that your investment pays off for a long time. 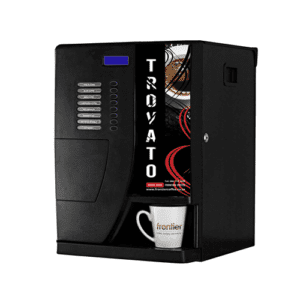 As most of you know our instant coffee vending machines are user-friendly and require very little maintenance to ensure every day starts with a cup of coffee. Cleaning your coffee machine is one of the most crucial actions you can take to ensure the quality of your coffee remains good and that your machine doesn’t require any technical call outs or assistance. We are acutely aware that keeping costs down is important to any business and our aim is to help you do that. Remember, poor quality water is a major issue. Calcium build-up in the boiler not only damages the element but all the sensors too. If your sensor cannot read the situation, it cannot control it. Boiler element burnout and overfilling are just some of the issues poor quality water can cause. Fit a good water filter. Regular cleaning of mixing bowls is another area that a coffee vending machine needs. Don’t allow dirty bowls to put pressure on your mixer motors. They will burn out over time. These are just two areas of assistance to look out for. If you are the proud owner of our Bianchi Sprint instant coffee vending machine, please check out our video below on how to clean your coffee machine.